Some time ago (actually a long time ago…) I wrote about my LIRA (my Locked-In Retirement Account (LIRA)). This post will recap this type of investment account and highlight what’s new with my investments in that account. Registered Retirement Savings Plans (RRSPs) are far the most part, understood. An RRSP is a tax-deferred account and depending upon the type of RRSP account you own, you can hold various investment products or securities such as GICs, cash, bonds, stocks, ETFs and more for long-term tax-deferred growth. You can read more about my RRSP rules and features in my 101 post here. 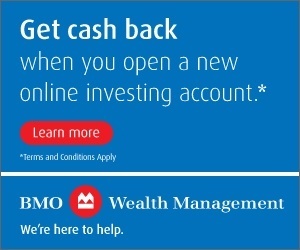 There is no tax on the growth of the investments inside the RRSP but tax is paid when money is withdrawn from the account – usually in retirement. A LIRA (Locked-In Retirement Account) is not unlike an RRSP – it also provides long-term tax-deferred growth for assets inside the account. Where it differs is how it originates. Most adult Canadians can open an RRSP any time. A LIRA is basically designed to hold pension money outside of a pension plan. LIRAs are typically established when you leave an organization and you want to take the pension money you’ve accumulated as part of that pension plan with you. If you have a LIRA or you were asked to establish a LIRA, chances are you were part of a company pension plan at some point. Recall there are two key types of pension plans – defined contribution and defined benefit. If you are fortunate to have a pension plan at work then I would encourage you to find out which one you can contribute to and all the rules associated with it. 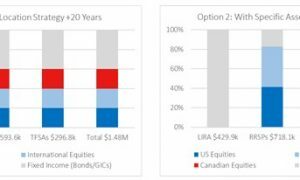 When I left Toronto (and my employer at the time) to move to Ottawa some 17+ years ago now, I was given an option to move the defined contribution pension money I accumulated with that employer to a LIRA. I did so because I didn’t want to leave that money in that pension plan (who knows what might or might not happen to that privately-owned company?) 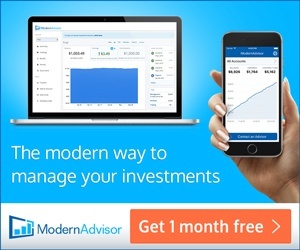 and furthermore, I knew I could take investing matters into my own hands using a self-directed LIRA account at my discount brokerage. Unfortunately I also knew I couldn’t contribute to the LIRA (which is a major difference between a LIRA and an RRSP). Because LIRAs hold pension money, you cannot make direct contributions on your own. Depending on the jurisdiction the pension was registered in, LIRAs can be managed federally or under provincially regulated pension laws. Mine was regulated within Ontario. RRSPs are regulated by our income tax act which makes the rules universal across Canada. When I first established my LIRA, many years ago in 2001, I owned one mutual fund. It was a dividend growth mutual fund at my big bank. After learning more about ETFs, bonds, indexing and stocks throughout my 30s, I decided this fund and the high fees associated with it had to go. I knew I could invest at a lower cost on my own. In early 2010, I converted my mutual fund LIRA to a self-directed LIRA (around the same time I was getting the rest of my financial house in better order). After opening my self-directed LIRA, I sold my mutual fund and invested in two key assets: iShares XBB ETF (a short-duration bond ETF) and some Coca-Cola stock. Why XBB? At the time, the financial world was coming out of the financial crisis and I too, was worried about falling markets again. I knew bonds would provide some stability if equities were to crash again. Why Coca-Cola? Also at that time, I was heavy into my readings about dividend paying stocks and this one was near the top of my buy list. I held Coca-Cola stock for a few years until late-2015. While owning Coca-Cola stock was fine; the returns were decent between 2010 and 2015 (the stock doubled in price); the dividends flowed in, I came to the realization that more equity diversification would be better for my LIRA. So, in late-2015 I sold all my XBB units and all my Coca-Cola stock and purchased a few hundred shares of iShares HDV ETF. I hold HDV units to this day. I purchased HDV for the aforementioned extra diversification/the U.S. exposure to dozens of U.S. blue-chip companies (not just Coca-Cola) to offset the growing percentage of my Canadian content that exists inside my TFSA and non-registered account. I also purchased HDV because I happen to have a small workplace pension in my future, a “big bond” if you will, so I don’t feel the need to invest in any bond ETFs anymore. Finally, I purchased HDV so I could run a DRIP for this fund, compounding money over time. I won’t be able to tell if selling Coca-Cola stock was a good or bad move until decades from now but I do know in recent years, HDV has performed modestly and it should continue to do so. For 2018 however, this fund is off to a very poor start but then again, thanks to my dividend reinvestment plan (DRIP), I’m buying HDV at a lower price now than before. Based on the unit price, every quarter, I’m able to reinvest the distributions paid to purchase two units of this fund at my discount brokerage that honours DRIPs for U.S. stocks and U.S. ETFs. If I owned another popular U.S. ETF like Vanguard’s VTI, while a great fund, I wouldn’t have enough money to run a DRIP – I would be just short. To recap, in 17-plus years of investing using this particular account, I’ve gone from owning a big bank fund costing me over 2% in money management fees, to owning units in iShares XBB ETF and some Coca-Cola stock, to owning a low-cost U.S. dividend fund (HDV) that charges me 0.08% in fees inside my LIRA. As for the future, while I might eventually switch from HDV to VTI, a far more diversified, lower-cost U.S. ETF that might provide better total return, I can definitely see myself keeping some U.S. content inside this account. What do you make of my investment choice? What would you do differently? Do you have a LIRA and if so, how do you or did you manage it? Share away in a comment below. 39 Responses to "What is a Locked-In Retirement Account (LIRA)? Here is my update"
If the company that you are leaving is federally regulated then the LIRA will be governed by federal rules. If a person is leaving an organization going to another one it may be worthwhile to see if there is a reciprocal agreement whereby your new employer will transfer in your pension credits to your new pension plan. This may be a viable option but a professional opinion should be sought. In my case, I could have transfered to my new DB pension fund and any raises given with the new employer would compound the pension earned from previous employer. YMMV. I took the LIRA option for the reason that if I die, my spouse gets 100% of my LIRA. She would only get 50% of my DB. In hindsight, I probably should have taken the transfer as my salary went up substantially thus increasing my pension whereas the performance of my LIRA was mediocre. Of course I had no way to know at the time of decision that my best six year average was going to increase as much as it did. Hey Lloyd, thanks for catching that. I’ve updated it to include LIRAs can be federally managed as well. In my case, I could not transferred the money to my new plan. That would have been good. I think by default, LIRAs tend to be provincially regulated but there are federally regulated LIRAs and they are referred to as LRSPs. My understanding is LRSPs and LIRAs are essentially the same, rather, some accounts are registered federally, the bulk of locked-in accounts are registered under the legislation of a specific province. I have no idea why the financial industry and our regulators make this so utterly confusing. Likely to keep them employed? Ya, I probably should have used the generic “Locked-in Pension Account”. With the various regulations I’m not going to begin to try to learn them. Mine is federal so I pretty well only looked at those rules but I do know the provincial rules exist. I still say getting professional advice is a good idea when it comes to making a decision. I could be looking at a LIRA soon. I have to decide what I want to do with my life. Can’t wait for the LIF/LRIF post because I might skip the LIRA and move my money right in to one of those. I transferred pension money to a LIRA when I left an employer after 10 years in a DC plan under provincial legislation (my sole pension $). I became self employed so the LIRA choice was simple for me, especially with being a self directed investor .The original DC pension options were the usual higher cost funds through a life insurance co.
Just over a year ago I converted the LIRA to a LIF and began receiving minimum payments age 57. I did not have any option to unlock and transfer any funds to my RRSP. Investments in my LIF now are ~88% FI (corporate bonds, GICs), and 12% CDN equity div payers which works into our overall asset allocation plan. If I can return 3.0% nominal at 2.0% inflation using the minimum withdrawal rules funds will last until age ~95 (using tax tips RRIF calculator). I suspect the decision to own a LIRA was an easy one for you given your DIY experience. Interesting you had no option to unlock, I recall some provinces allow up to 50% or so of “unlocking” to RRSP? I’m actually thinking of doing the opposite – draw down and killing off LIRA>LIF after age 55 when I can unlock sooner than later. Then I have one less account to deal with. I think if you can, collapse any registered accounts with minimum withdrawal before 71 would be great. We have only RRSP. It surprised me so many people have pensions. I guess we just made wrong job choices. Not sure why 71 is an age to target collapsing them??? My plan is to reduce them strategically/more aggressively before CPP/OAS so I’m offsetting/factoring difference to “smooth” tax and income. Registered accts here will likely last well into 80’s/ or 90’s and just be part of overall income along with unregistered/ TFSA etc. I had a DC pension for about 27% of my working life. 6% match but only on my base salary – not commission and bonus so not as much as one might think. I’m guessing you have made a fine job choice. RRSP will have to be converted to RRIF and have a forced minimum withdrawal amount at age 71. So basically after age 71, one lost lots of flexibility of how to withdraw from RRSP. I figure one can have more control on withdrawals and tax if RRSP and other similar registered accounts can be collapsed or partially collapsed before that. I was playing numbers another day for retirement. I figure if we work another five years, then combined with non-registered account, withdraw just enough from RRSP to cover the expense, delay CPP and OAS to 70, tax will jump up maybe two brackets. So how to define a better withdrawal plan to “smooth” tax and income looks like a big challenge. Anyway, it’s a big IF. Who knows, maybe we will not be able to work another five years, maybe we will work for another ten years, and then everything will be off. I guess a retirement plan can be valid only at the day you actually retire. Thanks May. Got it. I was focusing on “collapse”. What you’re describing is similar to what I mentioned I’m working towards. Although in my case I’m near certain with my registered accts there is little chance I’ll have them depleted by 71 and its not a goal of mine. I’m drawing at a rate higher now than when CPP/OAS starts, and will reduce registered draw equivalent to those benefits. The taxtips calculator has helped me to figure out how much/when. I expect to stay in the same bracket or move into the next one up over the next 6 yrs or so (OAS to start, CPP possibly then or sometime within next 5 yrs – not sure yet). That’s my version of “smoothing”. If I wasn’t more aggresive with withdrawals now I’d have some serious taxes to pay later and likely be giving up some lifestyle now when I’m younger and want to get around to enjoy it. CPP & OAS will cause you to jump 2 tax brackets??? If I’m understanding you right perhaps you need to plan to withdraw more from RRSP earlier, even if goes to TFSA contributions or unregistered to create income. I’ve learned plans are always evolving. That’s not a bad thing in my book as long as you have a carefully considered one to begin with. I understand, my plans to retire were changed by 5 years – earlier loss of my career than expected, health issue for my wife for an earlier stop with her career, greater home reno costs than expected…the list goes on!!! We still consider ourselves fortunate. CPP and OAS will not cause tax bracket up two brackets. But if I don’t plan carefully, CPP, OAS and forced RRIF withdrawal together might will. That’s why I am thinking to withdraw more than covering expenses from RRSP before 71. Understood. This is what I’m doing now. Withdrawing more than expenses…. but I’m going to have to step it up even more unless we want to accept much higher future taxes. Tough to mentally break through. Our current travel budget is $10K a year. Maybe I should save less and spend more on travel now while the kids still young and travel with us. Definitely a challenge given you’ve been in so much “savings” mode for so many years. May, I’m sure the travel memories with your kids are/will be priceless, and you’re choosing a good balance between spend and save. 5 star hotels and business class are for people with more money than us!! It’s more of a factor than I would have ever considered, but I think that’s not a bad thing at this stage. Yes, some provinces allow unlocking up to 50% but not here. I think if you apply as a hardship case etc there may be some exceptions. It was a no brainer to transfer money out of co. plan and over to me. Yes, fewer accounts is a good idea if that works with the account sizes, your drawdown plans and the assets contained. My LIF has most of my FI so have to consider that (want to keep a good stash) when knocking down the registered accts. I understand I can move any part or all of my RRSP into my LIF, and 12+ years from now will have to regardless. It’s not a big deal having both LIF & RRSP and I draw from both- click of the mouse for the latter as desired and automatic annually for the former. Neither have withdrawal fees. In kind withdrawals are also possible with both and in time this may work passing stocks thru unregistered enroute to TFSA contribution. Haven’t done it yet. I see, if LIF has mostly FI then it makes sense as a cash buffer. Neither have withdrawal fees? That’s very good. “Cash” buffer is in separate HISA for accesibility & best rates- right now measley 2.5%. Yield on FI portion (corp bonds/GICs) in LIF is ~3.2%, with equities = 3.6%+. Good enough to stay ahead of withdrawals for a number of years. “If” things work out ( rates rising & rising equity glide path) we’ll stay ahead for more than that! Ha. Lots of people are “set” on here. $96K on travel for us in the past 48 mths of retirement, and we have a fantastic 25 day journey starting late summer. So far so good. You’re showing us a great lifestyle yourself and I’m thinking your best financial freedom years are ahead soon. Yes, I think planning for considerable discretionary spend (if possible) is a good place for anyone to keep a “buffer”- for rainy market years plus car replacements, major house expenses etc. As to managing the account….similar to Mark, we (wife and I) each have moderate indexed DB pensions so there is flexibility in how my Locked-in Pension Account is invested. 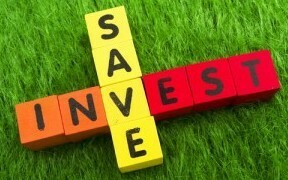 I traditionally look at all our accounts in total when considering investment options. As it turns out, I am almost exclusively in equities with the locked in funds. Large holdings in BPY.UN and NA. Moderate holdings in BEP.UN and RY with smaller holdings in ALA, IPL, MRG.UN, T and an orphaned cash holding fund consisting of the TD e-series DJIA and everything is DRIPped. Yield is about 5.2% and YoC is 17.46% (I know that really means diddly but I track it anyways). So, given that my DB pension is indexed, there is a case to be made that the larger growth within the locked-in account, taking the commuted value might still work out okay in the long run. We will see (although I’m not overly concerned about it). Interesting you still that that flexibility. I’m certain you’ve got a good handle on it. Hey….SLF reported today and increased their dividend $.02. Always nice to see how a tiny $0.02 raise turns into another $15 more per year (based on shares owned)! For me, it’s $16.24 forwarding dividends increase. Dividends increase and Drip really adds up. I have 3.6% organic income growth year to date. Looks like 6% for this year should be achievable. Market is low helped for that growth although at the same time put lots of my pipelines and utilities in water. I have 500 shared of ENB and it dripped 8 shared in March. Amazing! Let’s hope ENB won’t be another Kinder Morgan. I hear you with ENB and Kinder Morgan! I left the employer last year 2018 but I didn’t put any money in my LIRA account as I didn’t know such an option exists. Can I still do it if the employer is still actively working? Can I open LIRA account and transfer the pension money in there. As this will allow me to have more control over where I want to invest that money in. Do you have a post where you mention how to open LIRA account? No idea why some things are so complicated Sam….are tax code is a mess and reform is needed!!! Check with your employer and talk to the benefits person(s) overseeing it. The person who administers/administered your old pension should know the rules – they have to! A LIRA can be opened very easily via a discount brokerage. You need to sign some paperwork but they will handle all the money and transactions for you. ok Great I will find out. One Question Do you think the Government giving us a pension after retirement is enough regardless of how they manage the funds. We manage our funds our own way and get greater returns than what the government will be offering us in a distant future in the form of Fixed income. thankyou. I think if you look at the government’s history, with CPP, it’s not too bad. I don’t think most investors are getting 8% return over 10-years which includes a healthy dose of bonds. LOL. I can’t predict the future but historically equities return more than “James” bonds!